On a hot and sweaty morning (just for a change) we left the car at Hort Park car park and crossed over the Alexandra Arch for a stroll in one of Singapore’s few remaining bits of vegetation. 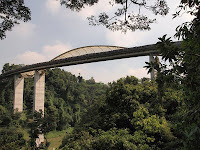 Some of the connecting walks from this location extend for hundreds and hundreds of metres; Forest Walk is 800m, Hilltop Walk is a frightening 1000m, Henderson Waves 300m, Faber Walk 800m and the Marang Trail another 800m. 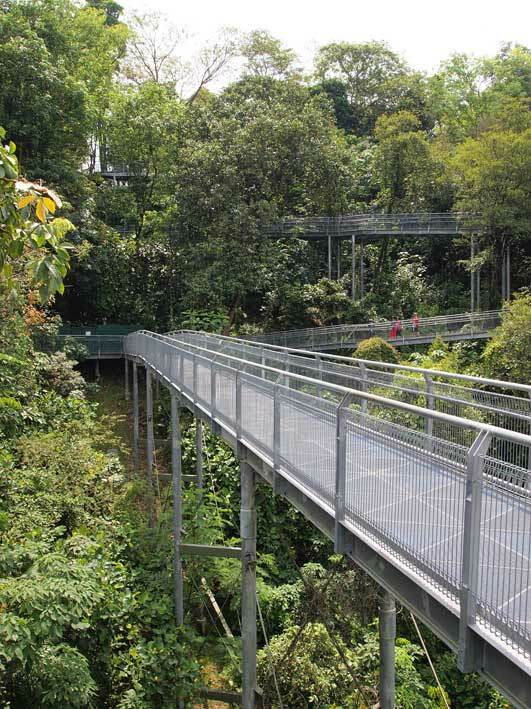 The metal elevated Forest Walk which zigzags over the forest is supposed to be an ideal platform for spotting birds and wildlife – except there didn’t seem to be any. No birds, no mischievous monkeys stealing plastic bags (don’t look them in the eye warn the signs), just a few butterflies and the odd pair of father and son runners. We took the middle path through Hilltop Walk which leads to the ‘ornamental’ concrete balustrades and steps of the terrace garden in Telok Blangah Hill Park and onwards to the Henderson Waves where according to the guide, ‘joggers, couples and families are a common sight’. We continued on the northern section of the Mount Faber Loop past the cable car station where a cup of tea would have gone down a treat. 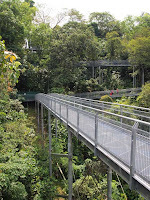 Instead we took the few steps down to the Marang Trail which finishes opposite Vivo City to take a taxi back to Hort Park. 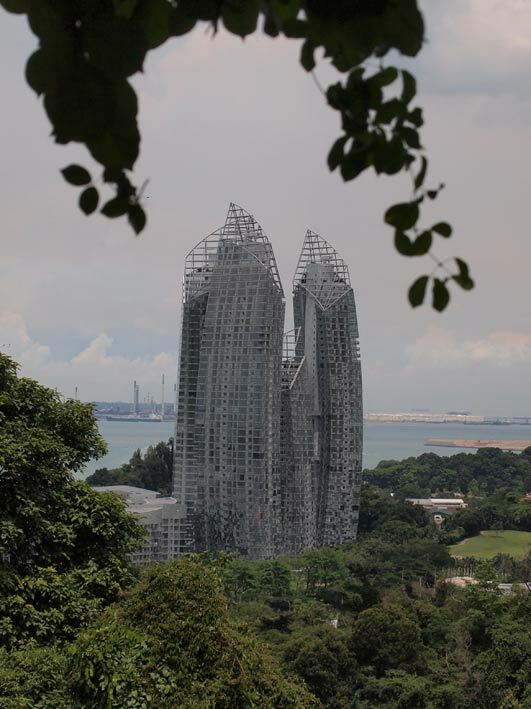 Despite the short distances and lack of wildlife, the walks provide interesting views of Singapore while burning a few calories. A good overview map showing all of the above walks can be found by clicking the green 'DOWNLOAD MAP' button on the National Parks Southern Ridges website.